Research: Best Spread Betting Platform UK - What is Spread Betting? What is Spread betting? Who offers the Best Spread Betting Platform? Does it seem complex? Surely, you’ve landed in the right place. In this article, we will take a closer look at spread betting, and the best spread betting brokers. Spread betting explained: Spreadbetting is a speculative type of investment. A spread bet is a leveraged derivative that you use to bet on an underlying security’s price movements without buying the actual security. This is the spread betting meaning, but in this article, we will take a close look at how spread bettings work. Your capital will be at risk when using any of the recommended brokers on this page. Never invest money you can’t afford to lose. Using a high leverage can result in big losses. Between 65-89% of retail investors lose money when betting with spread betting. Bullmarketz may be compensated by some of the platforms listed on our website. There are many brokers out there offering CFD trading and spread betting, but only a few can ever be considered the best. In an attempt to straighten things out, we have searched high and low looking for the best spread betting platforms in the UK. Before we do anything else, we need to make it clear that we only recommend licensed brokers. The reason why we mention this is because you might stumble upon an unregulated broker that offers a deal that is too good to be true, which is probably the case. Unregulated brokers are almost always scams and you need to stay far away from them. Just stick to our recommended spread betting brokers that all have licenses from the FCA and the CySEC. So, what is spread betting and how does spread betting work? Spread Betting has managed to get a foothold in the UK and its increasing in popularity, this is often assumed to be because of its simple nature, and of course, because it’s tax-free. Lately, the interest in spread betting has increased, but we have noticed that there is still a lot of confusion surrounding the subject. To dispel the confusion, we thought we’d offer you a basic rundown of what spread betting is and how you can partake in it. Spread betting is a speculative form of investing similar to CFD trading. Your primary task is to predict whether the price of an asset will increase or decrease within a predetermined time frame. Spread betting is in many cases similar to CFD trading, but with a few important differences. Since it’s considered betting it’s completely tax-free in the UK but there are other benefits as well. For example, there is a huge potential to make money in a very short period of time, but, the risk is also high. In fact, you can end up losing all your invested money pretty quickly. Spread betting in the UK is leveraged which means that your potential profits and losses are magnified for each trade. Spread betting is something very common in the United Kingdom, most spread betting platforms are regulated by the FCA and thus, it is very safe. 1. 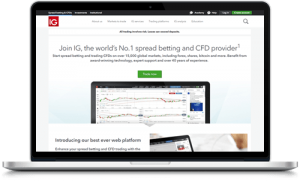 IG Markets – One of the best Spread Betting companies. 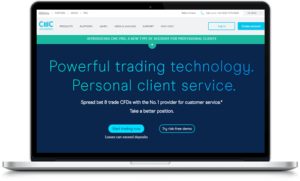 One of the biggest brokers in the UK offers a solid trading platform for CFD trading, forex, and spread betting. The broker’s range of available assets is vast, and you can speculate on hundreds of stocks, currency pairs, cryptocurrencies, and more. Also offers a spread betting app. 2. 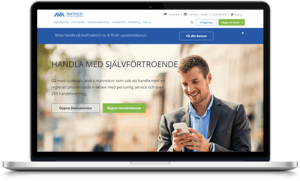 AvaTrade – Offers financial Spread Betting. AvaTrade is often one of our top picks when it comes to the best brokers in Europe, and lately, they have become one of the best spread betting brokers in the UK. Their exciting and varied selection of assets combined with a range of unique platforms makes this broker better than many other options. 3. CMC Markets – Easy to create a spread betting account. CMC Markets is another great option if you are keen on trying spread betting. They have an industry leading CFD and forex platform and are in many ways similar to IG Markets, however, quite a lot more innovative. Offers the best spread betting app. 4. 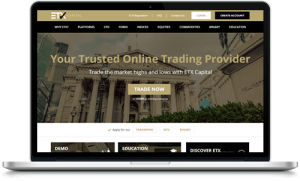 ETX Capital – Another of the best spread betting brokers. ETX Capital is a great broker as well as the oldest CFD and forex broker out there with decades worth of experience from the industry. They also happen to have one of the best spread betting platforms we’ve seen. 5. LCG – Offers a great demo account for financial betting. London Capital Group is an excellent regulated broker that is perfectly suited for spread betting, forex trading, and CFDs. Their spread betting feature is really good, and we suggest you open an LCG demo account so you can try it out for yourself. checkmark3 Offers a huge selection with over 7000 assets. checkmark3 Over 2 decades of experience in online trading. 6. FxPro – One of the most known spread betting companies UK. For years, FxPro has been considered one of the best forex brokers in the world. 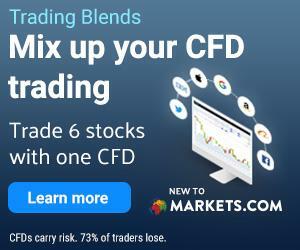 However, what many don’t realize is that FxPro also offers CFD trading and spread betting on a range of assets. 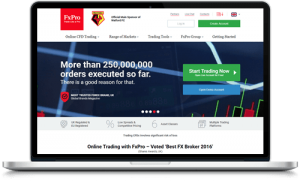 We have used FxPro a lot and never hesitate to recommend them to other traders. A Spread Betting Broker in the UK is a safe alternative for financial spread betting. As mentioned above, all the brokers we list here are safe to use meaning they are regulated and their business is regularly monitored. That being said, you still need to be aware that spread betting is associated with a high risk. Always be careful and never invest more than what you can afford to lose. Spread betting is generally available on the same platforms where you can trade CFDs and forex. However, far from all CFD and forex brokers offer spread betting. There is also a bunch of unregulated scams out there, we suggest you avoid them. A Spread Betting Demo account is a great way to practice and to test the platform. Before you pick one of the above-mentioned brokers, we suggest you try to form your own opinion. You see, even though our recommendations go a long way, the decision of which broker you want to use is ultimately yours. The best way to evaluate several brokers during a short period of time without risking any money is to open a demo account. Figure out which broker you think you are most likely to prefer and then open a demo account with that broker to see how you like it. If you don’t feel comfortable with your trading experience with the broker or you’re still not sure if it is the perfect match you can move on to the next one. Demo accounts are free of charge, and you don’t risk losing any money so it really doesn’t matter how many you open. What is the difference between CFD Trading and spread betting? At first glance, spread betting and CFD trading can look almost identical. However, even though the two investment types are very similar there are a few very important differences that you should know about. For example, in many places, spread betting is considered betting and not a form of investment which means you don’t have to pay capital gain taxes. This is obviously beneficial since you get to keep more of your profits. CFD trading, on the other hand, is considered an investment and you have to pay taxes on your profits no matter where you live. Moreover, spread betting is always commission-free, and you never have to pay any transaction costs while CFD trading often comes with a commission and many other fees. Another major difference between spread betting and CFD trading is that spread betting is time-limited whereas a CFD position can be kept open for as long as the trader wants it to be. Also, spread betting is handled over the counter (OTC) while CFD trading can be done directly in the market. As you can see, there are several differences between CFD trading and spread betting, and they both have their unique set of advantages and disadvantages. Perhaps spread betting could be compared with Binary Options, then again, they are separate things. So should you do CFD or spread betting? Only you can make that choice. Both are fun investment forms. Is Spread Betting tax free? Many other investments forms are not tax free, but since spread betting is not considered to be an investment form, there is no tax on winnings made. There is no spread betting UK tax. This is a simple spread betting guide to help you understand how spread betting works. First, you need to understand what the spread is. The spread is the difference between the sell and buy price that a broker offers. You see, every broker provides two prices for each listed asset. One price is the price you would pay to buy an asset (called ask price) and the other price is what you get if you sold that asset (called bid price). For example, the Amazon stock can be listed as 1,843 (ask/buy) and 1,839 (bid/sell), and the difference between those two prices is called the spread. Note that the broker sets these prices themselves and that they rarely match the market price. Spread betting seems a bit complex, how does it actually work? In spread betting, your goal is to predict whether the price of an underlying asset will increase or decrease and then bet your money on that prediction. Your profit is then determined based on how much the said asset’s spread has changed. Let us use the Amazon stock prices listed above as an example again. You predict that the price of Amazon shares will increase and you invest $10 in Amazon’s ask price at 1,843. If the price increases to 1,850 you make $10 for each point the spread moves, or a total of $70 (1850 – 1843 = 7*10 = 70). However, if the price would decrease to 1,830 you would lose $10 per point or a total of $130. The same goes if you think the price will decrease, although then you invest in the bid price and make a profit if the price decreases and lose money if the price increases. Spread bets are always leveraged which means your potential profits are really high. Often times, the requirements are as low as 5% of the margin which means you could make a lot of money in a short period of time with a very small initial investment. Just be careful since your potential losses also increase. Another great benefit of spread betting is that it’s available on pretty much any tradeable asset. For example, you can buy spread bets on currency pairs, stocks, ETFs, cryptocurrencies, and much more. For many, taxes, or the lack thereof, is the most important benefit of spread betting. In certain jurisdictions, including all of the United Kingdom, spread betting is not subject to stamp duty or capital gain tax since it’s considered betting and not investing. Not only is spread betting tax-free in many countries, but it is also commission-free. Instead of charging commission, brokers profit from the spread. Like all speculative investments, spread betting is easy to use for both decreasing and increasing prices. Bet on the bid for decreasing prices and the ask for increasing prices. Always set up a free demo account if you are just getting started. This will let you try out the platform. Implement a strategy, just picking stuff at random is very likely going to cost you money. Unless you get lucky. Only spread bet with regulated brokers, there are too many scams out there. Never invest more money than what you can afford to lose. Make use of the analytical tools offered by the brokers, and other tools such as stop loss. All forms of investments are associated with a certain level of risk, and it’s something every trader has to come to terms with. However, leveraged trading including spread betting and CFDs, are associated with increased risk. Because of this, you need to trade carefully and be fully aware of the risks before you start investing. Also, never trade money that you can’t afford to lose, and when you can you should use protection against negative balances to avoid any severe losses. There is also another downside to spread betting that few speak of. Since brokers are the ones setting the bid and ask price, they will always make sure that they have the advantage. By setting the asking price above the market price and the bid price below the market price, the broker can guarantee that they make a profit which in the end could hurt your own position. Financial spread betting for a living? Can one live on financial spread betting alone? Yes, there are people who live on spread betting, however, it is not recommended. As the risks are very high. Very few people have the ability to master share spreadbetting to the extent that they are able to provide for themselves with spread betting as a job. If you want to attempt living on spread betting we encourage you to be very careful. The swings can be big. Make sure you have enough cash on hand to handle the swings. Can you make money spread betting? Definitely, should you try to live on it? Probably not. In more recent times Bitcoin spread betting, and crypto spread betting, in general, has been made possible by the brokers on the market. Bitcoin spread betting is very popular but also associated with high risk as the swings in crypto tend to be bigger than vs forex or stocks. Cryptocurrency spread betting can be fun but we encourage our clients to proceed with caution due to the risk outlined above. FX spread betting? Forex Spread Betting is spread betting but only on a currency pair. Instead of buying a currency you place a bet on the price movement of the pair. It shares similarities with forex trading, and you can find out more in our How to Trade Forex article. Stock Spread Betting is spreadbetting on stocks, you place a bet on the price, will it go up or down? If your prediction is right then you make money, if your prediction is wrong then you lose money.